Our staff have a lot of experience in helping businesses move. 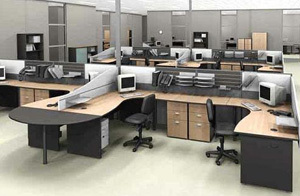 From simple office moves to project-managed relocations for businesses of all sizes. JoJo Removals treat all office removals, whether large or small with the same careful planning and attention to detail. We aim to achieve the minimum disruption possible to your company's normal operation. Our approach to office removals is to provide a complete package to our clients. Once plans are agreed, JoJo Removals will co ordinate directly with those affected and provide a project manager to be a single point of contact for all issues. Once the project is priced and agreed, we will organise the necessary labour, transport, insurance and on site supervision to ensure that the move is handled smoothly. JoJo Removals can manage projects ranging from the move of a single item to relocation of an entire organisation.